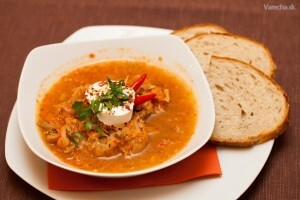 When you visit Slovakia for the first time you will be surprised by the amount of soups we eat. Usually boiling hot, containing meat (sorry, vegetarians, it’s impossible to find a typical soup without meat or at least bacon or lard) and vegetables, you can find them everywhere. Set meal during lunch break? Soup is included. Sunday lunch? Check. Christmas dinner? Check. Birthday party? Check. Midnight snack at the wedding? What else than the soup would you like to eat? Now, if you are trying to find the true reason behind this soup obsession – it is pretty easy. 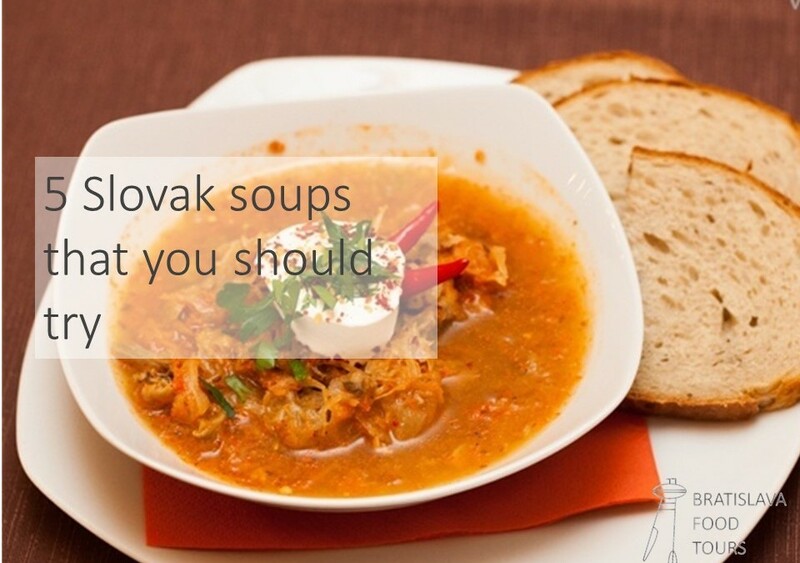 Not only Slovak soups are cheap to make and make you full for longer time. Although now we can afford to eat a main dish even without the soup, they still remail essential in our nutrition. One of the most favourite Slovak soups is associated with many merry moments. 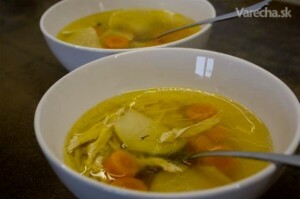 First of all, kapustnica is known as our Christmas soup. When I smell the acetic odour of sauerkrat (magic is in fermenting in clay barrels), I immediately feel like there should be a pine tree with presents underneath somewhere around. We also love to refresh our tired (and drunk) bodies with this healing soup on weddings as it is often served at midnight. However, you can find sauerkraut soup in restaurants, too. Naturally, there is a difference between „regular“ and „celebratory“ kapustnica. On regular days, kapustnica contains sauerkrat (oh, yes), pork, sausages, mushrooms potatoes and sweet paprika. On special occasions, we cook a more expensive version with sourcream and sometimes add dried plums or apples. Feeling hangover? Then this is the ideal soup for you. It’s healing powers are well known among whole Slovak nation. And maybe they are the reason why this soup has become common Sunday soup in majority of Slovak households (after Saturday night party, right?). This soup is quite easy to make, but takes forever to cook. You need chicken bones with meat, vegetables and spices such as parsnip, salt and black pepper, put everythng in a huge casserole and simmer covered for two or three hours. Quite popular – depending on bone type you have left – is beef broth, but there are more fancy versions with pheasant or rabbit, too. Soup with not very appealing name can’t be missing in our list. It has roots in eastern Europe and therefore is very popular not only in Slovakia, but also in our neighbouring countries – Czech republic, Poland, Hungary, as well as in other Slavic countries, Turkey and Greece. 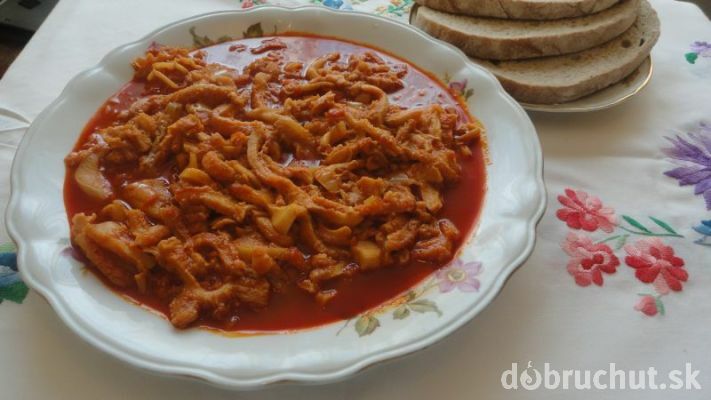 All you need to make our version of tripe soup is an extra cow stomach, some vegetables, spices and mainly sweet paprika. 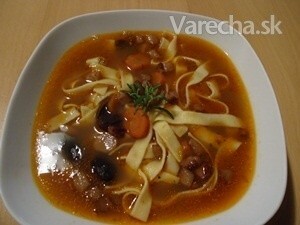 Tripes are then cut in small pieces and their shape gives this soup an extraordinary look. Although this soup is considered to be iconic, many people don’t cook it at home due to horrible smell it produces while cooking. And to be honest, eating this soup may be a challenge, too! When you are hungry and love beans, this soup can be your two in one – soup and a main dish in one heavenly serving. Packed with deliciously smoked pork knuckle, carrots, parsley, potatoes and thick home-made pasta, fazuľovica is the one that your grandma would serve your grandad or her grandchildren on a regular day. We Slovaks use to say that good fazuľovica has to be so thick, that it can make a spoon stand. 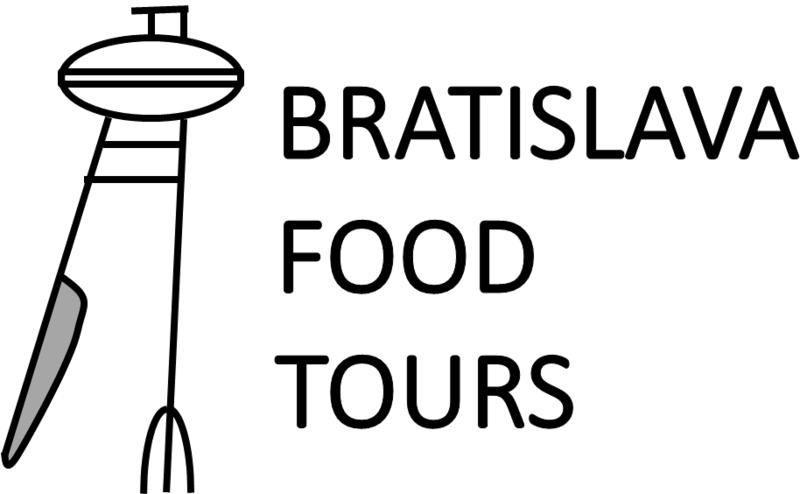 If you have a chance to try this soup on your trip to Bratislava or Slovakia, please do not miss the opportunity, you’ll love it! We suppose you know our traditional cheese – bryndza, right? There are many ways to use this aged sheep cheese – on top of halušky (national food nr.1), as a filling in pirohy or with butter and onions as a typical and delicious spread. But you can use your leftover bryndza to cook a mouthwatering Slovak soup, too. All you need is fresh bryndza, potatoes, onion, bacon, lard, cumin, sweet paprika and cream. All the ingredients are cooked together until the potatoes are soft. Demikat is one of the soups that is possible to mix until you get a nice, smooth texture. 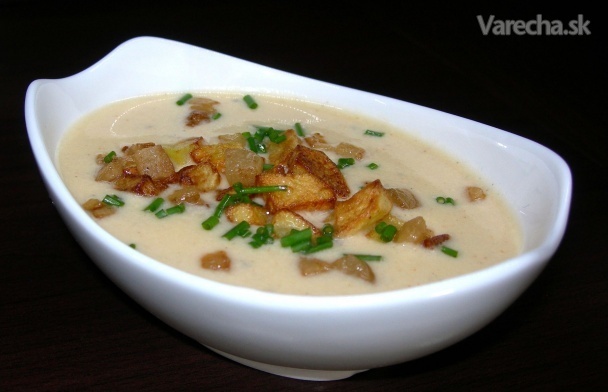 Sometimes, whole pieces of potatoes are served in the soup (usually, none of the soups is mixed befored serving). One way or another, satisfying flavour of this soup will make you fall in love with bryndza.